Vertu Signature Diamond is a very famous luxury mobile. The phone decorated with small fancy 200 pieces of diamond. It is made from Platinum and it’s a handmade mobile phone. Not from machine.world’s 10th positioned mobile phones price is $ 88000. Apple brand mobile is already famous for its feature and user friendliness . Princess plus is musty able to attract t the woman.the beauty of mobile attracting towards the woman.The main attraction of this mobile is amazing colour.the designer Peter Aloisson designed mobile has used special quality 180 cut diamond and 138 piece princess.The cost of the phone is $176.400. Black Diamond VIPN Smartphone is the world’s 8th Positioned must Expensive mobile.This smartphone made by Sony Ericsson company.Jaren Goh’s design is the most stylish piece from this company.Organic LED technology used mobile has mirror detailing and polycarbonate mirror feature.The screen quality is the best which is can’t get from other mobile.Two pieces of diamond used on it , one for the navigation and another for the back side of a device. The price of this mobile is $300000. Worlds 7th ranked mobile phone,Vertu Signature Mobile phone is a very stylists . The design is looks like a cobra snake, the side of mobile designed cobra’s structure. One pear-cut diamond, emerald eyes and 439 pieces of rubies used this mobile designed by French Jeweller.Boucheron. The price of this mobile is $310,000. The name if this mobile described that it a luxurious mobile. It is made from solid gold. The back side of this mobile made from more than 200 years old African backwoods which is must expensive wood.its value is $1 million. Peter Aloisson.it has Window CE operating system.it is made from gold and 28 cut diamond and princess diamond. It also provides protection against blackmailing and kidnapping. This luxurious mobile price is $1.3 million. GoldVish Le Million is made by 18-carat white gold and VVS1 graded Diamond. Luxury watches and jewellery designer Emmanuel Gueit designed this mobile has awarded by Guinness World Record for the most expensive mobile phone in 2006.The price of this mobile is $ 1.3million. World’s third must expensive iPhone 3G King’s Button mobile has 238 pieces of cut diamond. This phone is designed by Austria’s jeweller Peter Aloisson.6.6 carats diamond used in the home button of this phone.That is why the name of this mobile has given King’s Button. The value of this mobile is $1.5 million. The second positioned must expensive mobile in the world is iPhone 5 Black Diamond.Rare black diamonds, Gold, White Diamonds and expensive stone used on the edge off. and the back side of the device. The price of this mobile is $15.3 million. One of the must expensive mobile Falcon SuperNova Pink Diamond iPhone 6 has got number one positioned must expensive device in the World. Instead of using so many diamonds in this mobile ,used only one 18 carat Diamond on the back of this device. 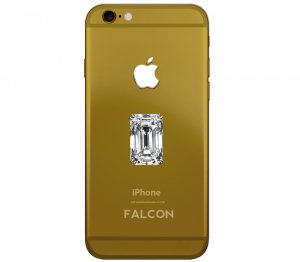 Its looks quite simple but because of the expensive diamond it’s price is higher than other mobile.the price of this mobile is $95.5Million. Last Updated on March 26th, 2019An amazing Canadian singer as well as a songwriter, Claire Abbott is strongly recognized for her amazing body figure and dashing pictures she posts on Instagram. She also has her own YouTube channel where she (Read more)….